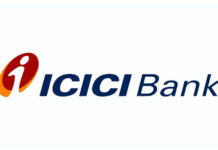 The largest public lender, State Bank of India (SBI), has also emerged as the leader in terms of mobile banking transactions since April 2015, according to a data released by banking regulator RBI. It registered over 1.5 crore mobile transactions in December 2015 alone. The transactions since April 2015 constitute about 38 per cent of all mobile banking transactions in the country, involving an amount of nearly Rs 17.6 crore. “Till a few months back, SBI customers were doing mostly low to medium value fund transfer and mCommerce transactions on mobile. 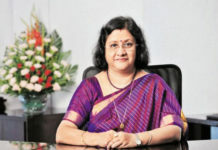 However, with the launch of the dedicated user-friendly mobile apps for non-retail customers, the average transaction size has shot up more than 5 times,” SBI Chairperson Arundhati Bhattacharya said in a press statement. 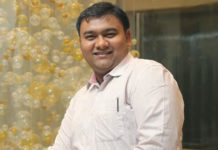 The Chaireperson was referring to the two mobile applications launched by SBI last year – StateBankAnywhere – SARAL (for small and medium sized firms) and StateBankAnywhere – Corporate (for corporate clients). 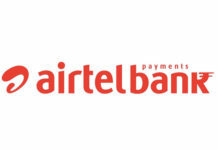 StateBankAnywhere – SARAL operates on a single aurthorised user basis, while the corporate offering can be used by multiple users and has features like direct payment to the Employee Provident Fund Organisation (EPFO) or to registered suppliers. As a result, these applications have increased the number of high-value transactions through the mobile platform. 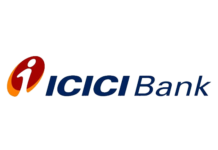 ICICI Bank, the second largest lender, came next to the State Bank of India, registering a total of nearly 70 lakh transactions. 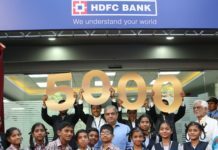 Axis Bank has recorded over 60 lakh transactions. 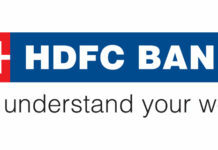 HDFC Bank was fourth on the list with slightly under 40 lakh transactions, while Kotak Mahindra Bank stood at the fifth positions with approximately 17 lakh transactions.